Home > WSD > Is Singapore a Buy? Asia is rather out of favor these days – mainly as a result of a slowdown in trade. And, the two markets most dependent on increasing import and export trade volumes are Hong Kong and Singapore. Trade accounts for 351% of Singapore’s GDP, and an astounding 439% in Hong Kong. In comparison, total trade represents only 32% of America’s annual economic output. As a result, both Hong Kong and Singapore are on the outs and cheap. It’s now a question of when the uptrend will begin for both of these high quality markets. 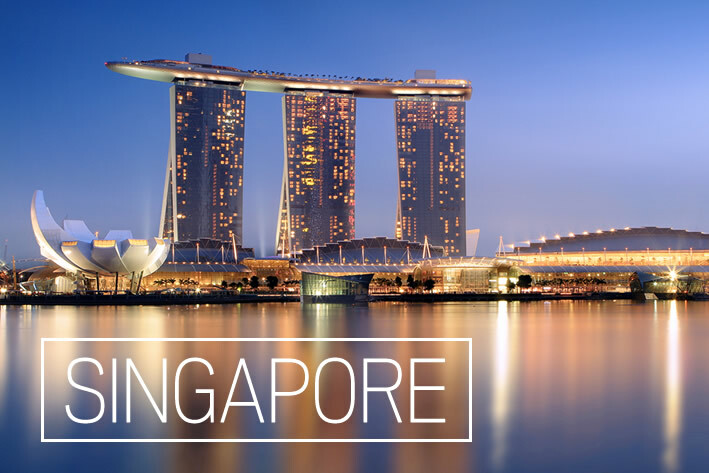 I recently covered the Hong Kong market so I’ll now take a closer look at its main competitor – Singapore. As a free port with no customs’ duties and open to ships from all nations, Singapore’s trade market was a huge success from the get go. 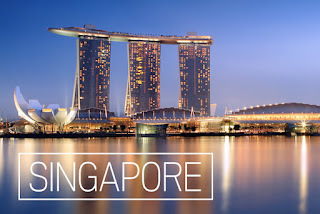 British adventurers like Sir Stamford Raffles, who spearheaded its improbable founding, would be amazed to see what Singapore has become since his time: the most strategically important global trading hub in Asia and the world. While only 20% the size of Rhode Island and three times the size of Washington, D.C., Singapore is the “Switzerland of Asia.” It also boasts the world’s biggest budget surplus relative to economic output. As the busiest port in Asia, Singapore is situated next to the vital trading channel of the Straits of Malacca, the gateway for 40% of global shipping and 80% of China’s oil imports. As I mentioned earlier, Singapore’s annual trade volumes approach four times the size of its economy. But with slower Chinese growth and waning trade volumes, its stock market is down 23% in the last year and is flat as a pancake so far in 2016. This is certainly better than China’s Shanghai market, which has lost 20% this year alone, but then again, treading water doesn’t get anyone excited. Meanwhile, in 2015, global trade volumes dropped 13% in total U.S. dollar terms while world merchandise trade only grew 2.8% in 2015. All of this has led Singapore to become one of the cheapest markets in the world – an unusual situation for such a high-quality well-developed market. It trades at only 12 times projected earnings and right at break-up (book) value. This is not only substantially cheaper than Hong Kong, but also equal to China, and only a handful of developed countries in the world – such as Italy – are cheaper. History shows that this could be setting the stage for a sharp rebound. In April 1986 when the Singapore market was trading at similar valuations, the market jumped 48% over the next 4 months. In February 1988, the market had another 60% gain over the following one and a half years. Then, in 2009, the index rallied 89 percent over the next 18 months. Finally, in the one-year period from August 1998 to August 1999, the market surged 115%. A simple shotgun approach to taking advantage of this opportunity would be to invest in the iShares MSCI Singapore ETF (EWS). But you would probably do even better with what I call the “JP Morgan” of Asia – Singapore-based DBS Group Holdings Ltd. (DBSDY). DBS is not only the leading consumer bank in Singapore and Hong Kong, but is also a powerhouse throughout Southeast Asia and beyond, with 200 branches in 50 cities. Any pick up in trade or economic growth will lead to stronger demand for lending which in turn will lead to higher profits and margins. DBS is trading at just below book value despite having a cash position of $36 per share, operating margins of over 50%, and offering investors a 3.8% dividend yield. In addition, DBS is building up its high-margin fee-driven private banking and wealth-management business.